12" x 15" x .080 aluminum. Engineering grade white Scotchlite reflective facing. 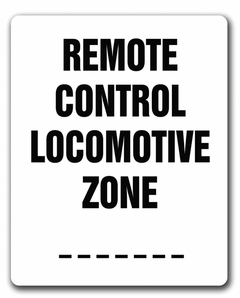 Please let us know what letter(s) or number(s) you would like printed on the sign to indicate a specific zone.